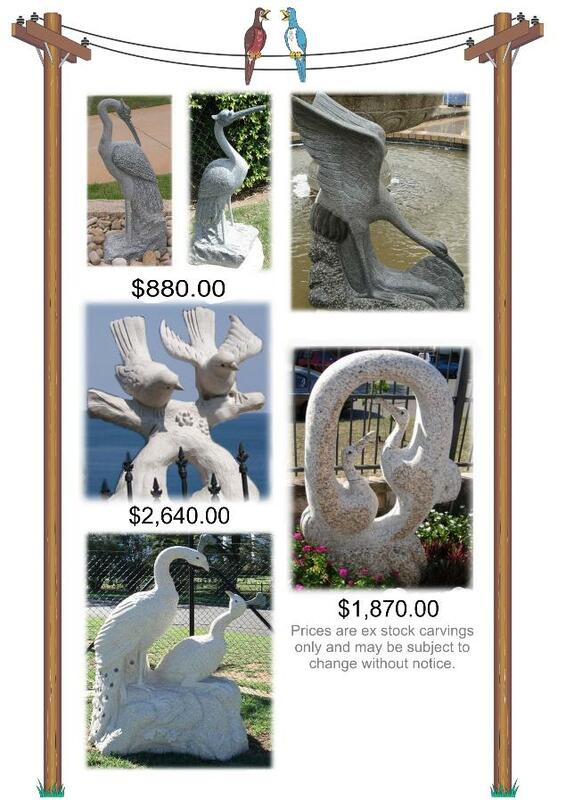 Carved granite birds available from J.H. Wagner & Sons. If a bird in the hand is worth two in the bush, a carved granite Bird from J.H. Wagner & Sons will be priceless to your garden design and enjoyment. Our Granite Birds are fully carved from natural stone, therefore the colours are natural, fully durable and maintenance free.